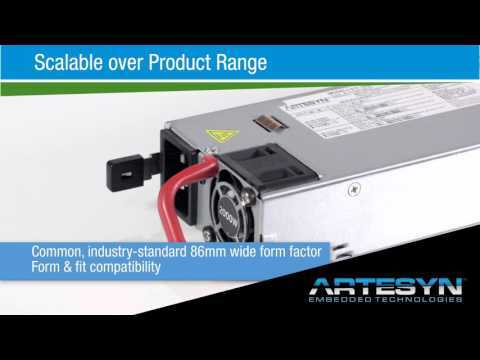 The DS2000SPE is an ultra-high denstiy power supply providing 50W per cubic inch. The 2000 watt DS2000SPE power supply is housed in 1U high rack-mounting enclosures measuring just 3.4 x 7.7 inches (86.3 x 196.5 mm). This form factor is significantly shorter than that of similarly rated earlier-generation power supplies — freeing up valuable system space — and is achieved by use of the latest power switching technology and high density component packaging techniques. 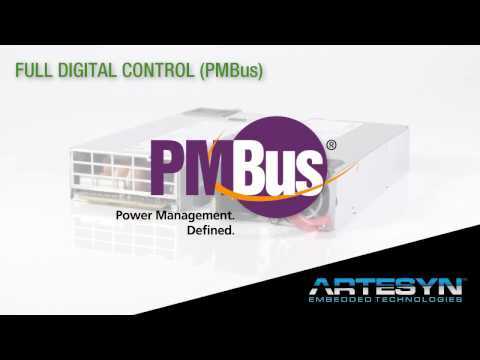 The DS2000SPE is fully digital and compatible with Artesyn Embedded Technologies' universal PMBus™ graphical user interface, allowing control via an integral I2C interface using the industry-standard PMBus communications protocol. Each power supply generates a main payload output of 12.2 Vdc for feeding downstream dc-dc converters in systems using distributed power architectures, together with a 12 Vdc standby output rated at 3.5 A for power management circuitry. The main DC output of the DS2000SPE can deliver up to 163.9 A, and stays within regulation down to zero load. Active current sharing helps maximize cost-effectiveness by eliminating the need for additional components when paralleling multiple power supplies for very high current applications. 7.736" x 3.400" x 1.574"